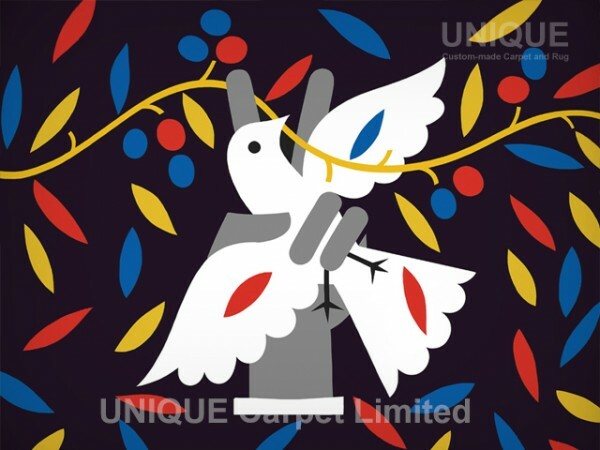 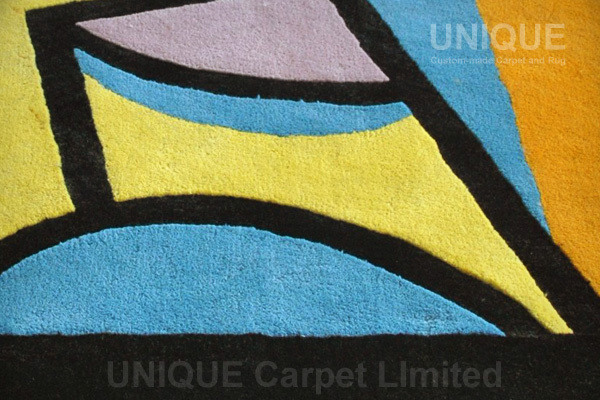 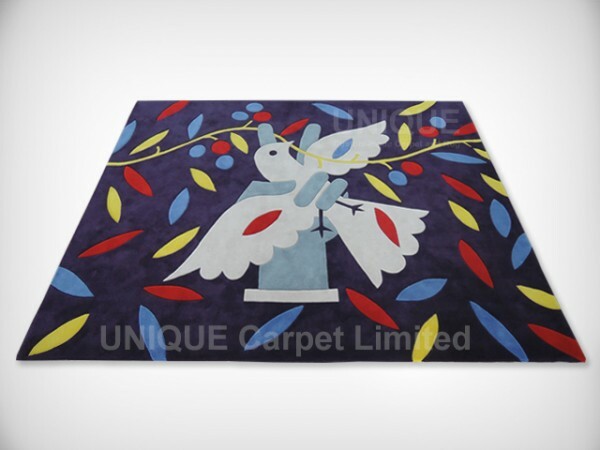 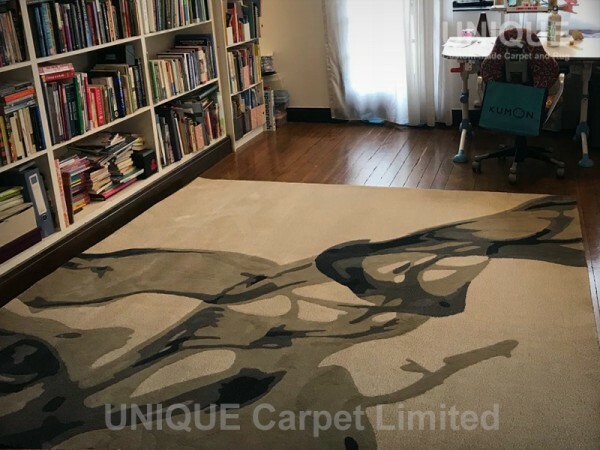 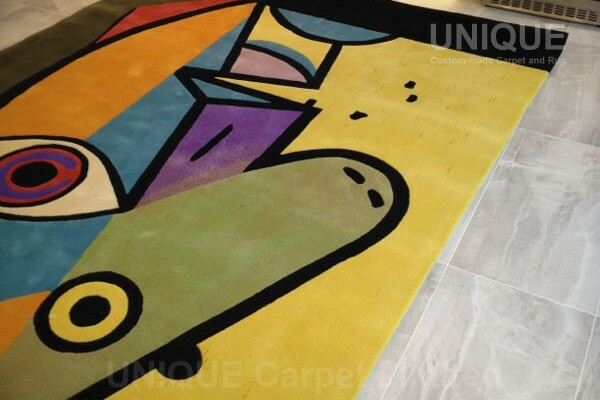 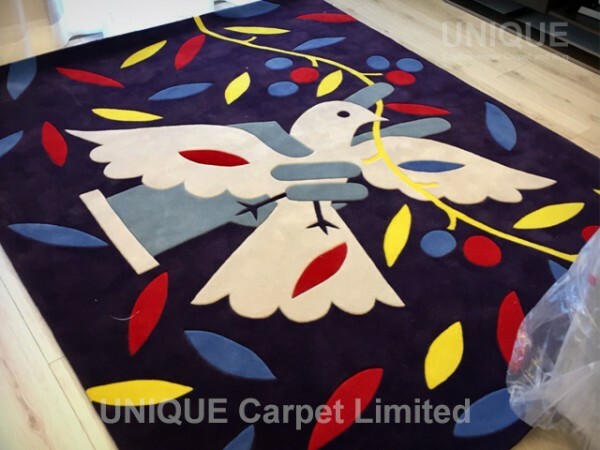 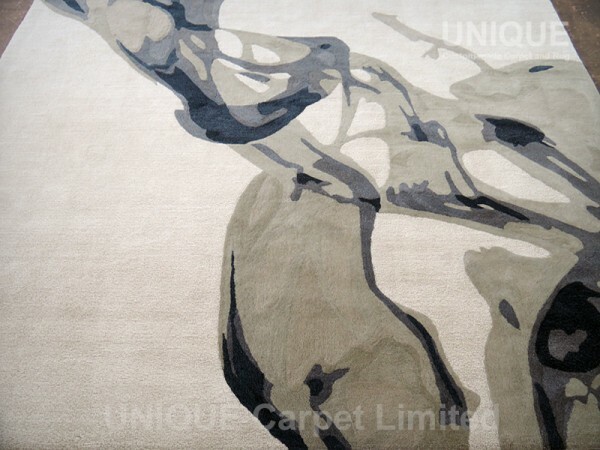 A picasso drawing area rug with 2 layers of cutting. 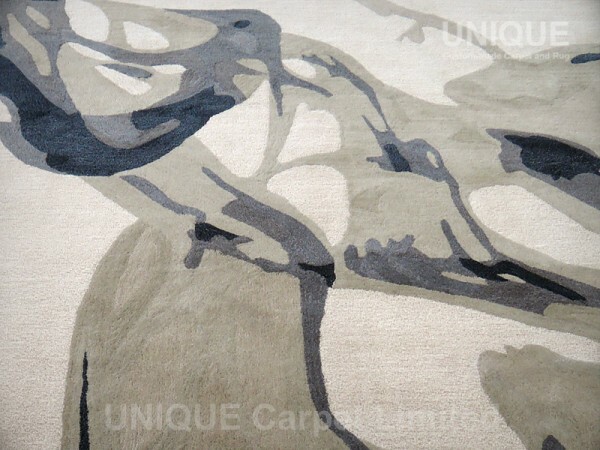 The black line in low cut and colors are mixed with gradient. 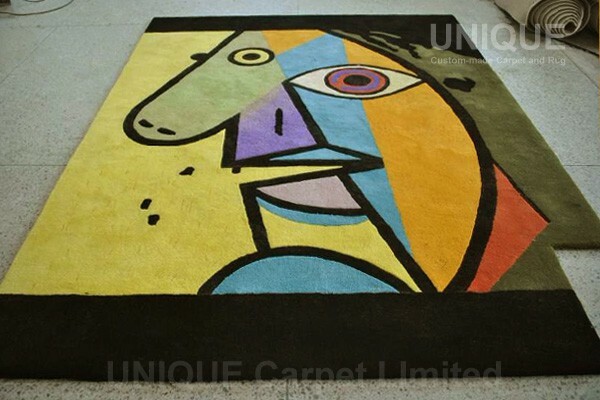 So carpet is 3 dimensional product. 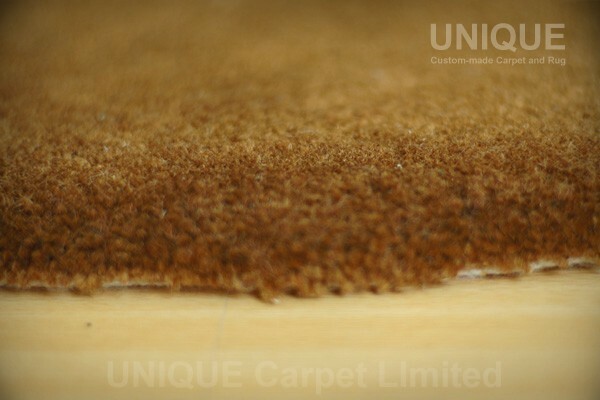 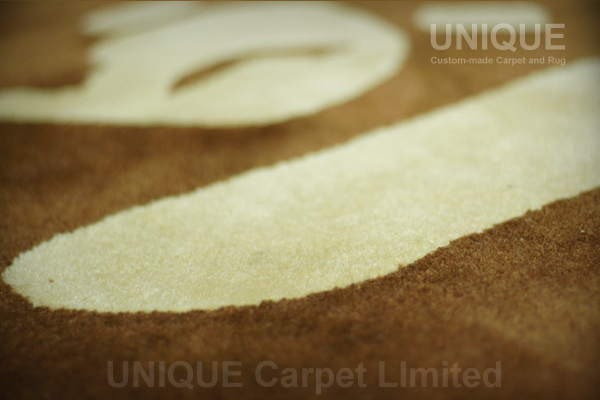 T he extra carpet thickness about 18mm is made by 8.5lbs wool. 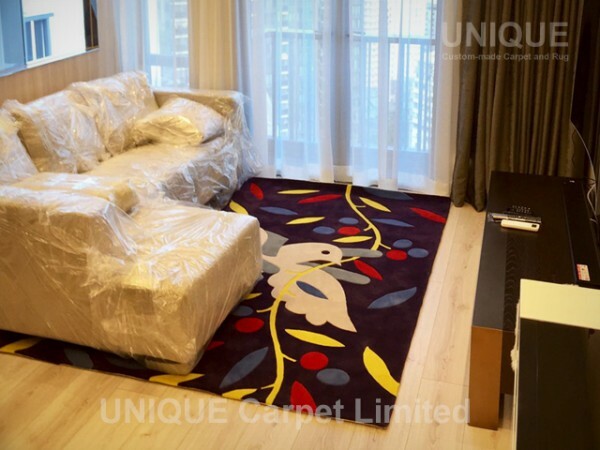 totally match with the on-site environment. 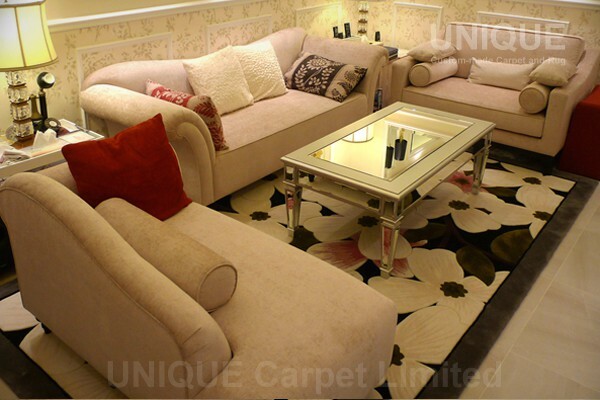 It is the advantage of custom made the carpet. 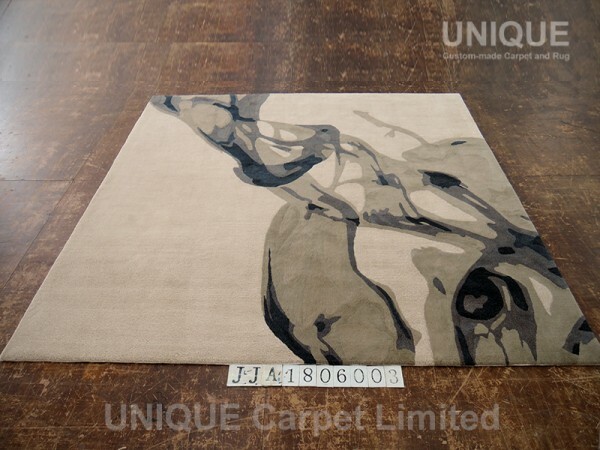 This entry was posted in Portfolio and tagged Area rug, handtuft, Picasso, Wool, 地氈, 大廳, 手織, 畢加索, 羊毛, 訂造 on March 28, 2013 by georgewong. 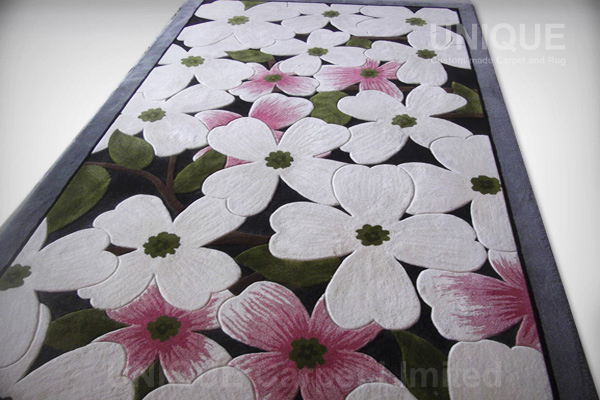 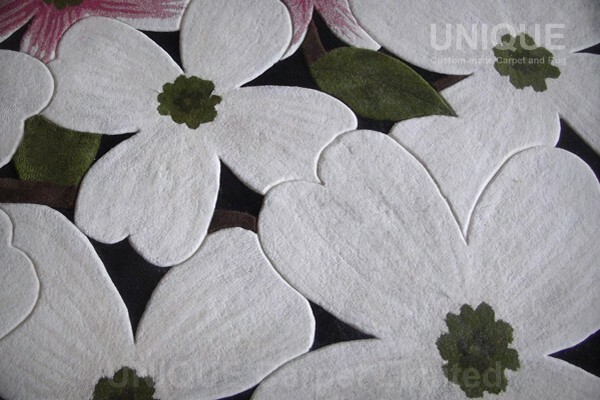 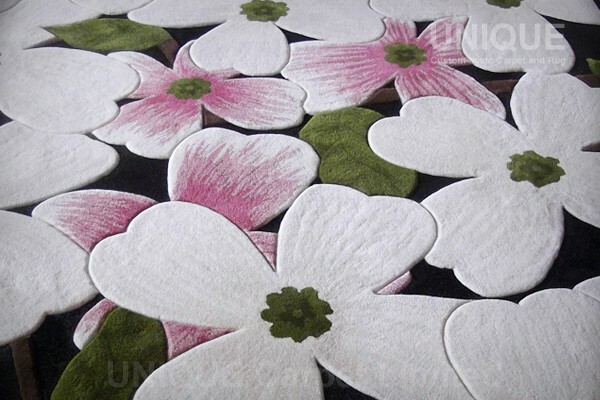 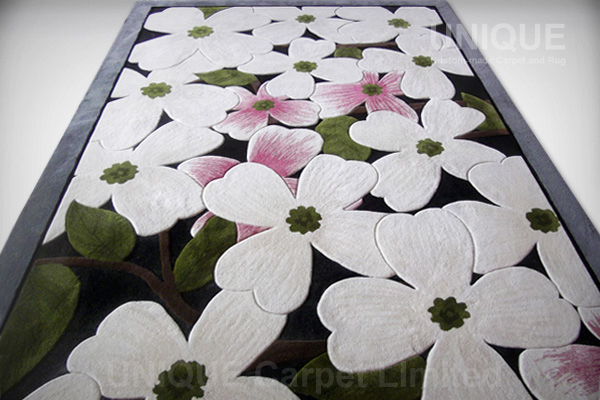 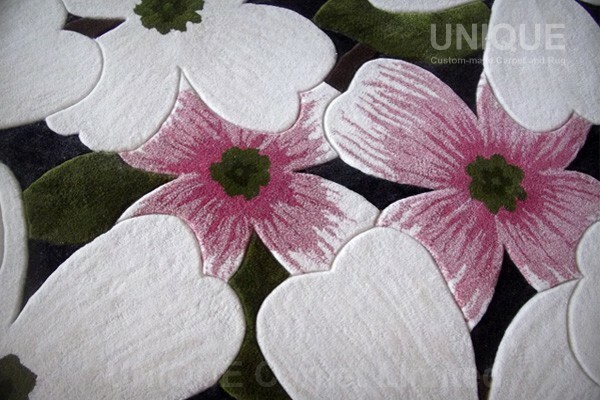 This is an very elegant area rug with some flower and plant pattern. 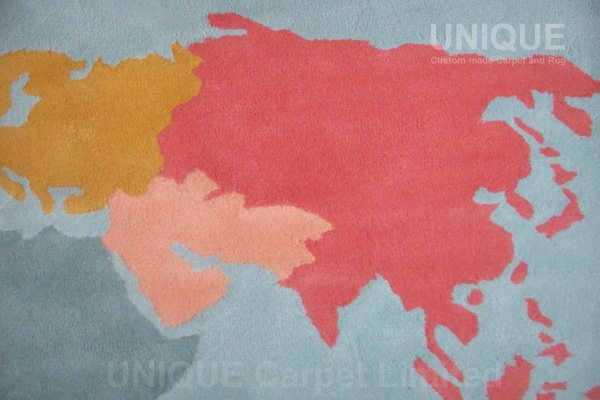 Very detailed design applied color gradient effect makes it more like a painting. 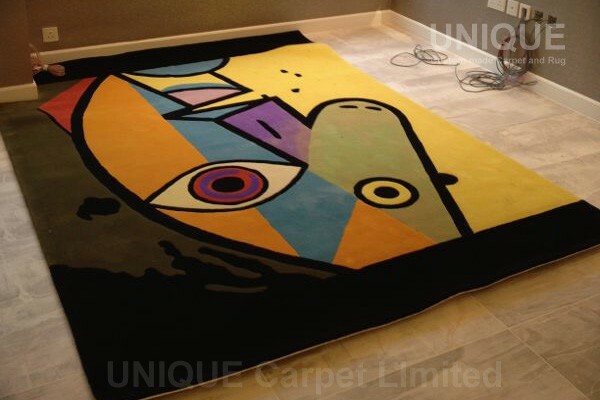 Several layers cutting also make the carpet more 3D dimensional. 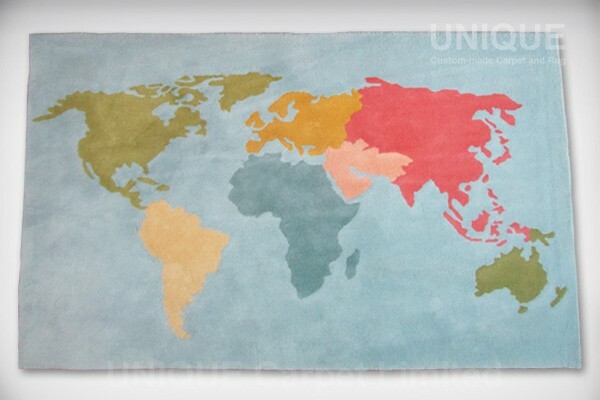 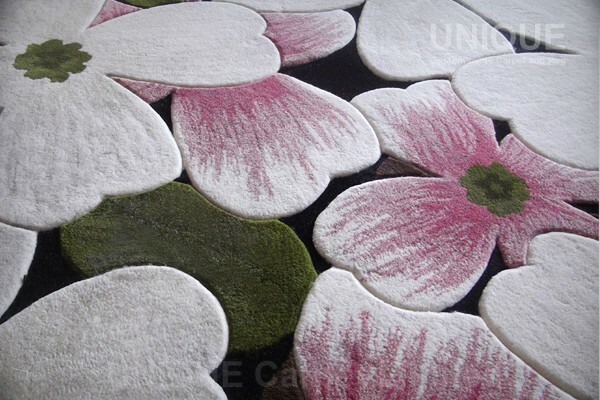 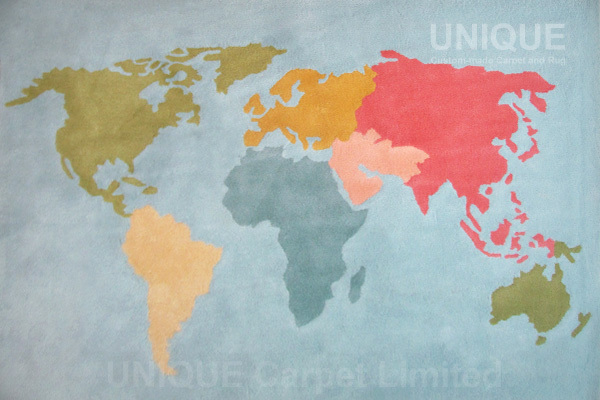 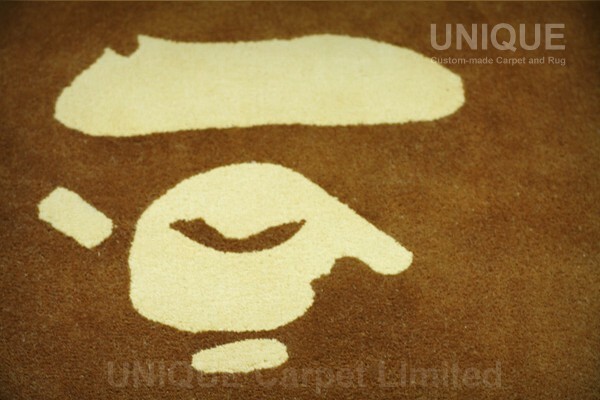 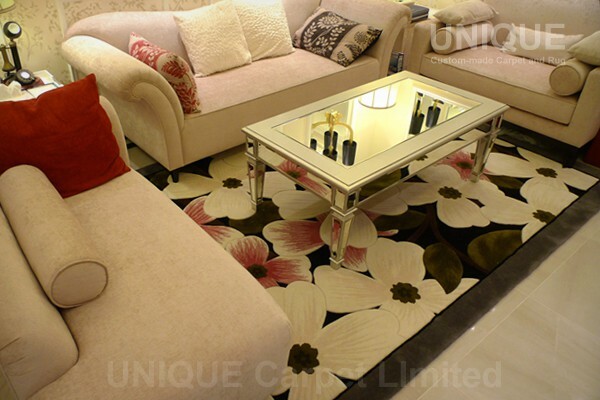 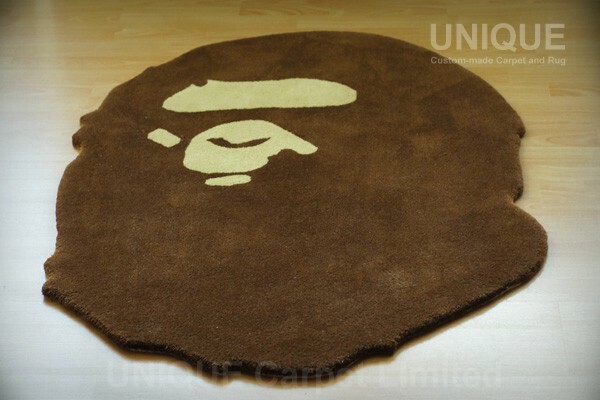 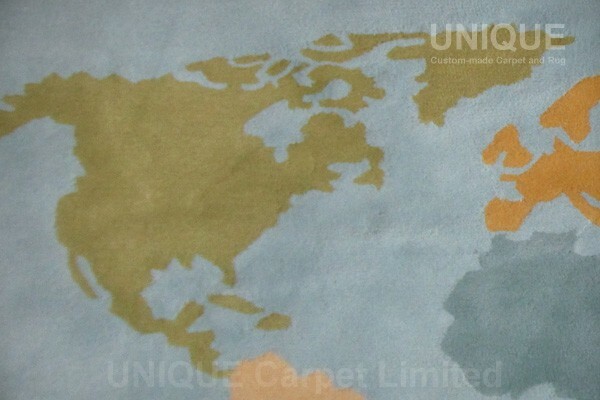 Wool handtufted carpet can achieve various results. 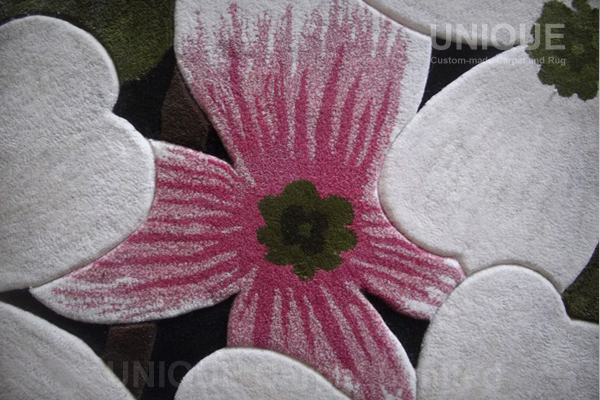 This entry was posted in Portfolio and tagged Area rug, Flower, Wool, 地毯, 地氈, 大廳, 立體, 羊毛, 花圖案, 訂造 on November 16, 2012 by georgewong.